AT daybreak on March 11, there was a burst of activity at Litchi Lawn, a corner plot on the sprawling campus of the Pusa Institute in Bihar’s Samastipur district. Workers were uprooting the maize growing in a small patch of land close to the office, intent on finishing their work quickly as they had been instructed. The Pusa Institute is actually the old home of the Indian Agricultural Research Institute (IARI) whose headquarters has shifted to Delhi. The 540-square-metre maize patch, surrounded by fields of wheat, mustard and cauliflower, and on the north by the institute’s famous mango and litchi nursery, looked like any other experimental plot. But something was clearly not right. After the maize was pulled out, tractors were brought in to level the land and moong, or green gram, was planted in its place. What was uprooted so hastily that morning? It was genetically modified (GM) maize, an insect-resistant and herbicide-tolerant variety that had been developed by Monsanto. The American biotech giant’s Event MON 89034 and Event NK603—every cell that successfully incorporates the gene of interest represents a unique “event” and the derived transgenic line is identified by such figures—was being tested at several other locations. It is still a puzzle why the Pusa trial was uprooted in such a rush and the plot replanted so quickly without due regard for contamination of the subsequent crop. According to a Monsanto spokesperson, the regulator, the Genetic Engineering Appraisal Committee (GEAC), had sent them a letter withdrawing permission for the trial but before the company could respond, the IARI station at Pusa, acting on orders from its headquarters, had destroyed the trial. A Pusa official told Down To Earth this was done because Bihar chief minister Nitish Kumar had told Minister of Environment and Forests Jairam Ramesh that he did not want any GM trial in his state and the latter had instructed GEAC to cancel the trial forthwith. But in its rush to scrap the trial did IARI follow procedures with regard to destruction of GM crops? Interestingly, it was Nitish Kumar himself who raised the issue. 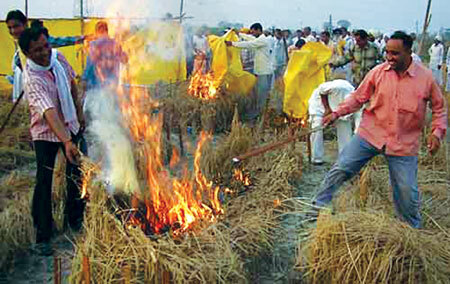 In a letter written to Ramesh three days after the event at Litchi Lawn, the chief minister pointed out that the maize trial had been “hurriedly uprooted in an unscientific manner and without the presence of any state agriculture representative”. He also raised concerns about other possible violations: did IARI Pusa have the required isolation distance in all directions to ensure that the pollen did not flow to other crops from the GM maize? 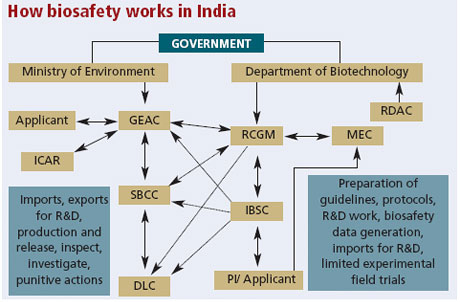 In any case the field trials were illegal because Bihar does not have the state biotechnology coordination committee or the district-level committee, both of which are charged with implementation of the regulations and overseeing the transgenic field trials in the states (see graphic ‘How biosafety works in India’,). If this is the state of play with IARI, which is “the country’s premier institute for research, education and extension”, it is not difficult to imagine what is happening elsewhere. 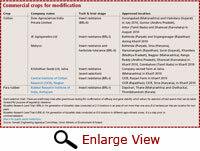 As India becomes a vast testing ground for all kinds of GM crops, which policymakers believe will usher in the second Green Revolution for the country (see chart ‘Welcome to GM country’, ), there are clear indications that regulations are being thrown overboard as private crop developers and the National Agriculture Research System (NARS) join hands on the testing of GM crops. The problem with India is that GM crop trials are being approved at dizzying speed—at one three-hour meeting, GEAC approved 144 applications—while little is done to monitor field trials, many of which are illegal because they do not comply with requirements. Quite often, GEAC has been unaware of where the trials were being held. 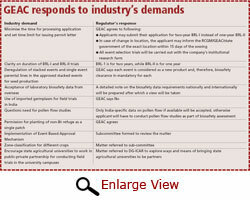 The most egregious example of rules being flouted is the case of Maharashtra Hybrid Seeds Company (Mahyco), which defied the regulator and used an unapproved cotton hybrid as refugia for its third generation BG2 RRF cotton that was undergoing the second stage field tests in Maharashtra. Refugia is the prescribed area where non-GM is grown so that the pests against which the GM trait is being introduced have non-toxic plants to feed on to delay the build-up of resistance to the GM toxin. GEAC regulations stipulate that 20 per cent of the area has to be the refuge crop planted all round the field where the GM crop is undergoing tests. What did Mahyco do? Although it had been denied permission to use non- BT Round Ready Flex (RRF) hybrids as refugia at the September 2010 meeting of GEAC because it had not been approved for environmental release, it coolly went ahead and produced the seed and used it as the refuge. But Mahyco’s explanation is that it did not flout the law; it only produced non-Bt RRF seed in greenhouse for field trial purposes, according to managing director Raju Barwale. The field trials of Mahyco’s BG2 RRF cotton are being supervised by the director of the public sector, Central Institute for Cotton Research (CICR) in Nagpur. He has been defending the company which was first issued a show cause notice by GEAC and later a warning. K R Kranthi, CICR boss, says in his defence to GEAC: If only non- BT cotton without RRF was used, “there is every possibility of the refugia getting destroyed due to spray drift or inadvertent application of Roundup.” Roundup is the brand name of a broad-spectrum herbicide produced by Monsanto which contains the active ingredient glyphosate. Incidentally, Monsanto has a 26 per cent equity holding in Mahyco. Plant geneticist and former academic Suman Sahai emphasises that this is not just a case of Mahyco cocking a snook at GEAC; the implications of Mahyco’s use of the unauthorised refugia are far more serious for Indian agriculture. “What it means is that planting a herbicide-tolerant (HT) crop, like the new Bt-HT cotton, and using the matched herbicide (Roundup) during its cultivation will destroy all the neighbouring crops and the adjoining biodiversity. This will happen when Roundup lands on them while fields of the HT crops are being sprayed. Only plants carrying the HT gene can survive the herbicide spray.” Sahai is convenor of Gene Campaign, which works to empower local communities to retain control over their genetic resources. And what do the regulators have to say about violations that activists describe as flagrant? According to GEAC co-chairperson Arjula R Reddy, the regulator is pretty much powerless to do anything (see ‘We can only withdraw permission’, ). This explains why since field trials began in this country, illegalities have abounded here. The introduction of BT cotton in 2002 was preceded by the discovery that cultivation of illicit Bt was rampant in Gujarat, grown on 4,451 hectares. The authorities showed a complete inability to deal with the situation and GEAC admitted at the time there were serious shortcomings in the regulatory system. History is repeating itself—and with vengeance. The country is now awash in illicit HT cotton and farmers in Gujarat have been growing the crop since 2006, if not earlier. Aruna Rodrigues, leader petitioner in a public interest litigation seeking a moratorium on GM testing in the country, has been campaigning ceaselessly with GEAC to halt the spread of the illegal HT cotton. It has now spread to Madhya Pradesh and Andhra Pradesh, too. She says the matter is of enormous concern because it has serious consequences for Indian agriculture and biodiversity, but so far the regulator has been unable to stop the spread. On the other hand, GEAC has been liberal in authorising all kinds of new events, including the stacked GM maize with Bt and HT. Monsanto, in fact, has been allowed to take up seed production in 10 hectares. But politicians like Nitish Kumar are not waiting for a stricter law to be put in place. They have already decided to say a firm no to GM testing and cultivation of any GM crop in their state. Mullakkara Retnakaran, Kerala’s agriculture minister, says, “We cannot permit open field trials until safety issues related to human and animal health and the environment have been comprehensively evaluated. 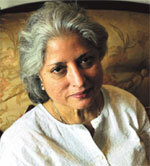 Kerala is a biodiversity hot spot and we cannot take risks.” Kerala declared itself a GM-free state last year. Madhya Pradesh too has followed suit and in a letter written to Ramesh last month Ramkrishn Kusumaria, minister for farmers’ welfare and agriculture, said it would neither allow field trials nor any open releases (see ‘States say no to GM,’). Nitish Kumar begs to disagree. He says maize, which is a major crop in Bihar, is doing very well. Productivity is higher than the national average and the state turns out 1.7 million tonnes, contributing more than 60 per cent of the country’s rabi production. As for the claimed advantages of GM maize, it has no relevance for Bihar. For the past several years I am writing in my articles, books and in letters sent to HonÃ”Ã‡Ã–ble Prime Minister/Planning Commission that we are producing in excess over the requirement and thus, around 50% of the production is going as waste. This is basically because there are no sufficient storage facilities, poor post-harvesting mechanism, no timely transport facilities, exploitation by business-politicians-bureaucrats nexus that are minting crores of rupees through illegal exports. The losers are the farmers and the government that provide subsidized inputs and loans. In the month of March there was discussion on Dot Earth blog in The New York Times Science/Environment section on production Ã”Ã‡Ã´ price rise Ã”Ã‡Ã´ food security vs. global warming, in which I put my observations too. On this the writer of the blog sent me a 3.5 minute video film presenting my observations recorded in India. HonÃ”Ã‡Ã–ble Supreme Court also pointed out rotting of food grains in government gowdowns. Union Finance Minister in his 2011-12 budget presentation highlighted the point of wastage that needs storage facilities. On 15th May 2011 The New York Times Science/Environment section presented a brief news titled Ã”Ã‡Â£One-Third of WorldÃ”Ã‡Ã–s Food wasted, Report SaysÃ”Ã‡Ã˜ as released by Food and Agriculture Organization of United Nations that says Ã”Ã‡Â£Fully one-third of all food produced globally Ã”Ã‡Ã´ a staggering 1.3 billion tons Ã”Ã‡Ã´ is lost or wasted every year. It is divided equally between industrialized and developing world, although waste in rich countries was far higher on a per capita level. Ã”Ã‡Ã´ I put my observations on this. To that extent we are wasting our natural resources as well damaging the nature. To that extent it is a wasteful expenditure by both developing and developed countries. At the same time every day we see articles saying due to global warming food production is effecting. That means, like energy loses and now reducing the energy losses, in food it is not an easy task as the business interests are inter woven here. Multinational companies play vital role here. The farmers are unable to get minimum support price for his produce. Some of the greenhouse gases are attributed to be produced in agriculture and animal husbandry sector. Some is also attributed to village-wood stoves. In this the nitrous oxide is released through chemical inputs. Now to reduce the wastage of foods on one side and to reduce the green house gases release through chemical input technology and associated health risks could be countered by organic farming. Here by adapting progressive farmersÃ”Ã‡Ã– technology Ã”Ã‡Ã´ some of them received national and international recognition -- we can achieve healthy food at low investment, which improves the economy of the farmers. It also counters the global warming component. Then there is no need to import Western patented seed biotechnology with severe adverse environment impacts Ã”Ã‡Ã´ adulterated seed market is flourishing under this. Our research must, therefore, tailor to organic farming with desi environment friendly seed technologies & agriculture technologies. The government proposed climate change linked research must be directed in this direction. Also, at the same time scientific community of organic farming must call for a meeting to educate the Ministers from environment & forests, agriculture, and science & technology to understand the reality of the climate change vs. organic farming concept. The new approach proposed by UNEP & WMO run in this direction only. In this greenhouse gases could be brought down through controlling urban air pollution. 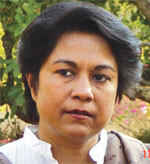 Urbanization has become major fatality of environment. By cleaning the urban areas we can protect the environment to a maximum extent by balancing the developmental activities to meet the basic needs of ever increasing population. Input Subsidy: In one of the meetings at CSA on dry land agriculture Ã”Ã‡Ã´ planning commission, when I proposed replacing the chemical inputs by organic inputs, there was a discussion how to get subsidy to organic inputs like in the case of chemical inputs. I saw an article by IIM professors on input subsidy which was submitted to HonÃ”Ã‡Ã–ble Prime Minister, wherein they proposed continuation of subsidy giving to industry, which is benefitting the industry-politicians-bureaucrats nexus. In the past I advocated the policy of giving subsidy to farmers directly. With this background, I countered the IIM professorsÃ”Ã‡Ã– argument and sent the same to the professors. Later I also sent the same to HonÃ”Ã‡Ã–ble Prime Minister. Recent union budget proposed to give the fertilizer subsidy to farmers directly. This way, the farmers can use this for the purchasing of organic inputs. On this groups can look into this aspect as the government is yet to finalize the modality of payment. Cooperative farming: Though I proposed this long back, when Dr. YSR asked me to prepare Black paper to counter the White Paper by TDP government under vision 2020, I prepared and submitted to him. This was released in 2001 in the Assembly press area to the media. In this I proposed the concept of cooperative farming, in which farmers can come together and produce crops as formulated, get the government subsidies, export what they produced. 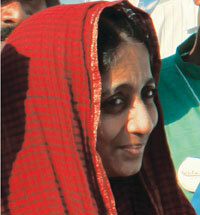 This is the best mode for making organic farming a successful venture. This helps better utilization of government subsidies, better utilization of water resources Ã”Ã‡Ã´ increase the area under irrigation, to get remunerative price for what he produces, they can demand permission to export what they produce. This also helps to seek government assistance in the event of natural calamities. With the government assistance they can build gowdowns to store their produce. All these will help to mitigate farmersÃ”Ã‡Ã– suicides and can help building greenery around the rural areas that reduces carbon dioxide in the atmosphere. I am the first to sign a PIL on Bt-Cotton filed in Andhra Pradesh high court -- as my advocate was changed his loyalty the case is still in the court. These figures clearly reflect that Bt cotton is not superior to non-Bt cotton in any respect. Both are sensitive weather prevailing in a given year. That mean, our bureaucrats-scientists-politicians nexus serving the multinational companies for a price to monapolize seed production in India. This is harmful to environment as well to farmers. 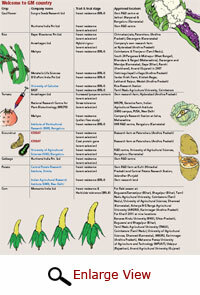 Who decides which crops are to be tried for GM? There is and has been no directed efforts based on local data, civil society and farmer consultations. In almost all cases the efforts have been either anecdotal, subjective decisions or based on training abroad or due to funding opportunities. Subsequently there is rationalisation of the decision. Of course there have been few instances of genuine choices but again they were based on mostly individual preferences rather than a collective decision involving all stakeholders. be broad based, open and subject to widespread discussion. 2. There should be elected civil society representatives in regulatory bodies for GM crops. To say GM is complex science that can be understood by the scientists is only wanton obfuscation. It only means not enough effort has been made. It also suggests there is a fear of being questioned or found to be wrong. 3. All GM research and GM companies should be owned by the government and not be private as in the case of nuclear power, space, defence, judiciary and police. 4. Discard all bacillus thuringiensis based technology and multinational-owned GM technology. Of course the government is no saint when it comes to making profitable deals with big business and not bothering about the common person. However, they can and should be held responsible and answerable by the current and future generations. I agree with the fact that spread of BT is a disaster in making. It is alarming to note that even after the Vidarbha suicides,Monsanto and its Indian partner Mahyco are running scot-free and more so they have forced the brands of cotton like Nanded-44 etc. to be taken out of the market in Maharashtara. In fact in India there is no body to guide on agriculture as every thing in agriculture is controlled by multinational companies. 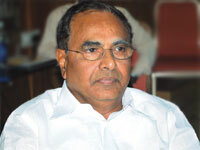 The agriculture Minister is happy with Genetically Modified crops as his state constrols it. The advisors to his ministry are the people working with GM companies under the disguise of Farmers associations/federations, etc. In Andhra Pradesh government cut down the prices of Bt cotton but the advisors are closely associated with the present CM again they raised the price of Bt cotton by 180 crores. We don't need GM crops as we are wasting 50% of what we are producing as well the yield is not more than the tradition. This is Digvijay, originally from Haryana. Majority of my family members are still employed in rural sector. 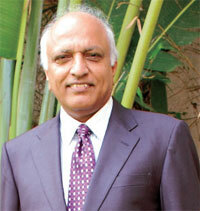 At present,I am doing MBA(spl. in Environment and Safety)from NITIE,Mumbai. I have a dream of bringing the farmers condition to a decent status.For that I am ready to work hard. I request you to Email me reading materials reflecting the ground reality in farming in India because we hardly get to know the ground reality in these times of biased media.